For fans of MTV's Teen Wolf, Mondays without the series are the worst days ever. Now that Season 4 is over, all fans can do is sit around and speculate about the future of the show. 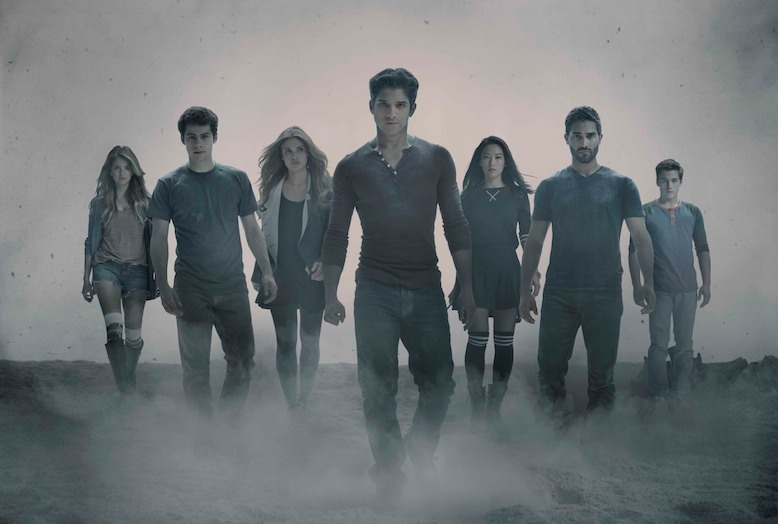 We have a ton of questions for Season 5 of Teen Wolf, like who will be the next big bad? How many abs does Derek actually have? You know, the important stuff. But before we get too far into placing bets about Derek's shirtless-ness — which will definitely happen at my Season 5 viewing party — there are still many questions about previous seasons the show has yet to answer, especially from the slightly uneven Season 4, like what kind of supernatural creature is Jordan Parrish? That question plagues me day and night. There were a lot of confusing moments and missteps in Season 4 of Teen Wolf, as much of the season felt like it was building towards something truly epic, but the payoff wasn't actually worth it. Honestly guys, Meredith as the Benefactor because she was manipulated by Peter's coma ramblings? Come on, you can do better than that. Right now the show feels like a huge question mark and to be honest, I don't know how much I can enjoy the new action that will be created next season if we don't get answers to these questions. Immediately. I was hoping he would be the second berserker along with Scott in the Season 4 finale, but nope. No Danny. How on Earth could Jeff Davis give us a Season 3 finale where Danny reveals he actually knows all about the supernatural nonsense of Beacon Hills and then have him disappear for at least half a school year in Season 4? Who Is The Desert Wolf/Malia's Mom? Here's the deal. I imagine this question will take up much of the first half of Season 5, as it relates to Malia's journey to find herself by finding her parents. I'm excited to see it and all, but if the twist is that Malia's mom is someone we already know, I wish the audience could just get the answer of her identity already — maybe even before Malia finds out herself. And why would Peter want Malia to kill Kate just so she can find out the identity of the Desert Wolf? It's a big mystery and I am impatient. But if Teen Wolf is looking to introduce a new character, then bring on Season 5! I'll wait if it means I get to see some new reveals. Will These Kids Ever Graduate? Hasn't it been more than four years in Beacon Hills this show began? Technically, most of these characters should have graduated by now, which I assume is one of the reasons the show brought in Liam and his friend Mason as fresh faces to the cast. Will we actually get to see graduation? Will Lydia be the valedictorian? Can Stiles give a speech at the ceremony? Will there be an epic battle at graduation a la Buffy the Vampire Slayer? This is pure gold I'm giving you, Teen Wolf writers! What The Hell Is Stiles' First Name? Seriously, do we really have to wait until the series finale of the godforsaken show to find out what Stiles' name actually is? And what if, god forbid, Dylan O'Brien leaves the show early, because his new film The Maze Runner becomes a huge success and he gets a million offers to do more movies? Does that mean we'll never find out? Or will we at least find out when the kids finally graduate high school? What Exactly Did Kate Do To Derek? And more importantly, how exactly did she get this power? Did she study up on witchcraft during her prison sentence with the Mexican hunters? How is she la loba and a were-creature? What the heck is happening with the whole Mexican hunter/Araya storyline in general? That whole thing confuses me. Will We Ever See Greenberg? Who is the mysterious kid Coach Finstock always yells at? I need to know why Coach hates him so much. And I really hope he's great looking and the most well-adjusted kid in all of Beacon Hills. I'm in your corner, Greenberg! Where Are Isaac & Ethan? I really only want to know because I miss them. They were pretty.